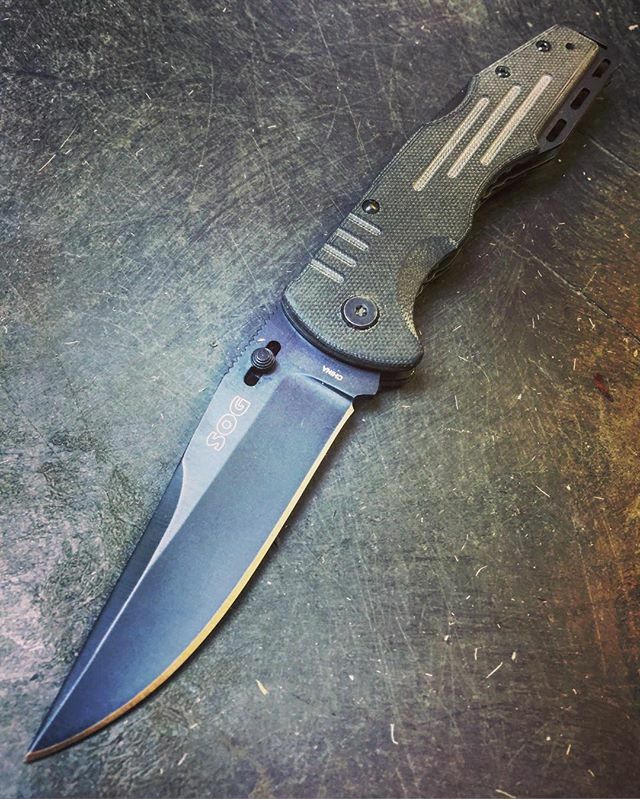 The SOG Fusion Salute model FF-11 has a black coated 8Cr13MoV blade with a hardness rating of 52-54. This tactical folding knife is razor sharp and has a patented adjustable thumbstud that you can slide to fit your grip perfectly. The handle has G-10 overlays for comfort and grip even in wet conditions. The knife is held open and released by a large lockback on the spine. The pocket clip is reversible so you can put it on whichever end you wish to carry. When you operate this knife you will be surprised with its smooth operation. 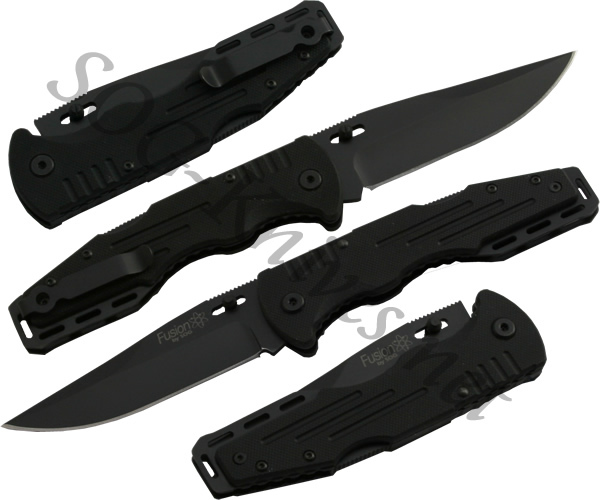 Own a SOG Fusion Salute Knife Black FF-11? Tell us how you like it! Got a question? Ask! Somebody will answer!